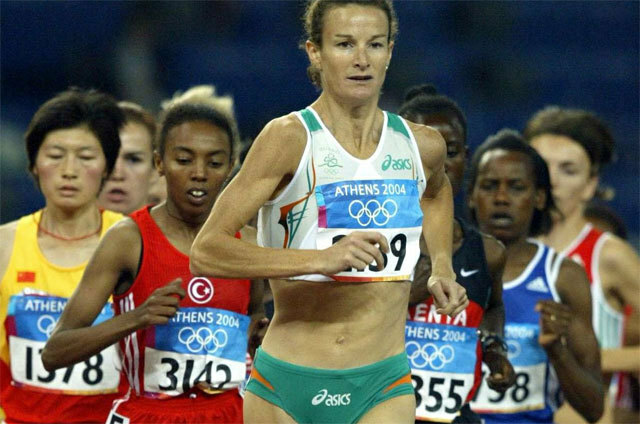 IRISH athletes will not be banned from 'tweeting' during the Olympics, but chef de mission Sonia O'Sullivan intends giving them clear guidelines and warnings about the potential dangers of using Twitter and other forms of social media. British swimming star Rebecca Adlington has recently stopped using Twitter after the level of personal abuse she encountered on it and it is feared that, in London, the burgeoning phenomenon of social media has huge potential to directly affect athletes' concentration and confidence levels. 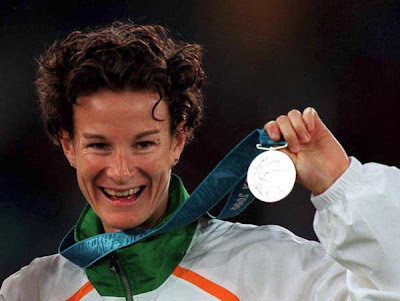 O'Sullivan, speaking at the launch of yesterday's 64-strong team for London 2012, admitted it is an area that will need careful management and is a potential distraction that she, as a four-time Olympian, never had to worry about. "You do find a lot of athletes can't wait to get that tweet out there as soon as possible because it's one of those instant things they like," she said. "We will definitely have discussions about Twitter, you don't want people putting things on there without thinking. "If they read something at the last minute that is not positive or might affect them in any way, you don't know what that could do to their performance," O'Sullivan stressed. "People can say things that athletes really don't need to hear before, or after, they've competed, so we will try and control it as best as we can." O'Sullivan admitted that it would not be possible or advisable to have a complete internet ban. "You have to allow some interaction," she acknowledged. "I think a lot of athletes enjoy it (Twitter and Facebook). It helps them relax when they have communication like that. "They'll want to share things with people outside the village and this will be the first time that they will be allowed to do that. So, in a fairly controlled way, we should be able to do it. "But once they enter the competition zone it definitely shouldn't be allowed," she said, adding that she will encourage athletes to leave their phones in the village when they go to compete. Ireland's team for London (64 plus two equestrian reserves) is the largest since Sydney (67) and could yet be bigger. Steven Colvert (200m) and 400m hurdlers Jessie and Thomas Barr are competing in Liege tonight and will be chasing qualification right up to Sunday night's track and field deadline. Unlike Athens (49 athletes) and Beijing (51), no swimmers or athletes have been accepted on 'B' standards for London, so more athletes have met higher standards to qualify. The team includes Dubliner Claire Bergin (4 x 400m), who, having competed in bobsleigh in Vancouver (2010), joins Terry McHugh as the second Irish person to compete at both winter and summer Games. Ireland's boxers and sailors are tipped as the best medal chances, but O'Sullivan would not put a number or name on potential medallists yesterday. However, she did say that the team is "of an even higher standard" than the one that won three medals (all boxing) four years ago. "We definitely have a team capable of winning medals in a number of different sports," she said. "It's been pretty tough to qualify, a lot of athletes have qualified quite easily, they haven't been running around chasing qualification, so, in that sense, it's a stronger team than before and athletes have had time to make a plan and prepare properly." O'Sullivan also acknowledged that there has never been so much ancillary support and expertise, through the Institute of Sport and the Irish Sports Council. There will actually be more Irish coaches and support staff (90) in London than athletes, with 76 'officials' accredited, including a medical team that includes renowned Limerick physical therapist Gerard Hartmann. The Olympic Council of Ireland (OCI) stressed yesterday that these 90 support staff do not include any 'blazers' and only OCI president Pat Hickey and secretary Dermot Sherlock will travel to the Games in an official capacity. "Any more of our executive committee members who go to London will go under their own steam and pay their own way," Hickey said.